Our parasha begins innocuously enough—Moshe is still alone with God on the mountain, while his assistant Yehoshua waits down below. The Covenant has been signed and witnessed, and the Tablets of Witness carved out, ready to be taken down the mountain in triumph. Only a few details remain of the instruction that he is to bring down to the people—a few more details on building the Mishkan, a few ritual matters. But meanwhile, things in the camp of the Israelites are deteriorating. The people, alarmed at Moshe’s long absence, clamor for reassurance. “This man Moshe, who brought us out of Egypt… we don’t know what has become of him.” Give us some visible sign that we are not abandoned, they say. Give us something to unite us again! And Aaron, left in a position of leadership that he did not ask for, complies. What follows is the infamous episode of the “golden calf”. While there is some debate over the exact nature of this episode, and why it was such a failing, it is clear that it represented a major upset in the contract between the people and God, a contract that was, at that very moment, being concluded up on the mountain. But while God lets the matter rest for now, Moshe is overcome by the disaster. When he sees the revelry around the cast-gold statue, he flings the Tablets of the Covenant from his hands and institutes a purge of the offenders. But how could Moshe, who, more than any other figure, stands for Torah… how could he destroy the precious written record of the Covenant, inscribed by God’s own hand? Mulling over this question, our sages come to a surprising conclusion: Moshe is to be praised for his actions! Three things did Moshe do on his own initiative, and was backed up by God Himself… He broke the tablets… From where do we know that God agreed with Moshe? As it says, [when Moshe is told to carve a second set of tablets to replace those he had broken] “asher shibarta” (which you broke). Resh Lakish [reading this as “ashrei shibarta” (blessed is your breaking of them)] said, “Yishar kochekha that you broke them!”. דתניא: שלשה דברים עשה משה מדעתו, והסכים הקדוש ברוך הוא עמו… ושבר את הלוחות… שבר את הלוחות. מאי דריש? אמר: ומה פסח שהוא אחד מתרי”ג מִצות, אמרה תורה: כל בן נכר לא יאכל בו (שמות יב, מג) – התורה כולה [כאן] וישראל משומדים, על אחת כמה וכמה! ומנלן דהסכים הקדוש ברוך הוא על ידו? שנאמר: “אשר שברת” (שמות לד א), ואמר ריש לקיש: יישר כחך ששיברת (שבת פז ע”א). Why would Moshe be praised for his anger and chutzpah? In a marvelous shiur, Rav Yoel bin Nun weaves together the strands of midrash, together with a close reading of the Covenantal text. His conclusion: Moshe’s breaking of the tablets was an act of heroism by which Moshe saved all of Am Yisrael from destruction! This action paved the way for a more realistic Covenant, under better terms—one which the people—and we, their descendants—could live by. 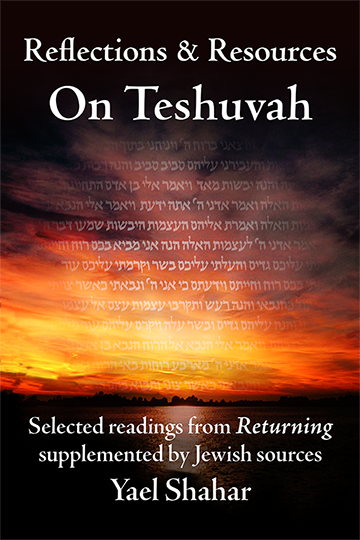 The first set of tablets, explains Rav Yoel, were written in God’s hand. They included the written Torah only, with no provision for the extensive oral tradition and human reinterpretation on which Jewish Law depends. It was a law that represented the strict application of justice (or, if you will, the workings out of karma). There was no “if, ands, or buts”, no recourse, and no excuses. … What did Moshe do? He took the tablets from the Almighty’s hand in order to assuage His wrath. ר’ שמואל בר נחמן אמר… משל למלך שכעס על בנו, וישב על בימה, ודנו וחייבו. נטל את הקולמוס לחתום גזר דינו. מה עשה סונקתדרו? חטף את הקולמוס מתוך ידוו של מלך כדי להשיב חמתו. כך בשעה שעשו ישראל אותו מעשה, ישב הקב”ה עליהם בדין לחייבם. שנאמר: “הרף ממני ואשמידם”. ולא עשה, אלא בא לחתום גזר דינן, שנאמר: “זבח לאלהים יחרם” (שמות כב, יט). מה עשה משה? נטל את הלוחות מתוך ידו של הקב”ה כדי להשיב חמתו. למה הדבר דומה? לשר ששלח לקדש אשה עם הסרסור, הלך וקלקלה עם אחר. הסרסור, שהיה נקי, מה עשה? נטל את כתובתה, מה שנתן לו השר לקדשה, וקרעה. אמר: מוטב שתִדון כפנויה ולא כאשת איש. כך עשה משה. כיון שעשו ישראל אותו מעשה, נטל את הלוחות ושִברן, כלומר שאלו היו רואין עונשן לא חטאו. ועוד אמר משה: מוטב יהו נידונין כשוגגין ואל יהו מזידין. למה? שהיה כתוב בלוחות: “אנכי ה’ אלהיך” (שמות כ, ב), ועונשו אצלו: “זבח לאלהים יחרם”. לפיכך שִבר את הלוחות (שמות רבה מג, א). 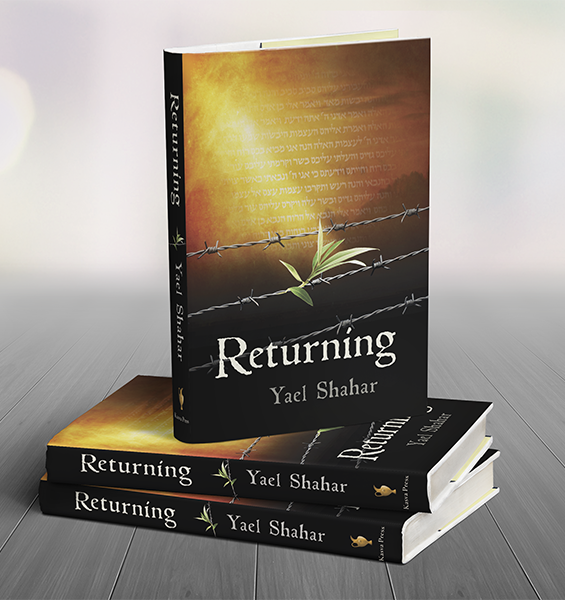 Now, having restored order among the people, Moshe returns to God to try to iron things out—an unwilling marriage broker. One would think that having “torn up the contract”, that would be the end of things: the Covenant would appear to be in ruins, the relationship with God irreparably destroyed. But what is Moshe really asking for here? And why is it that “A human cannot see Me and live”? One explanation is that Moshe is asking to be shown the workings of fate: “Show me how the existence of evil is compatible with a good God.” Not a surprising request, considering that God has just tested Moshe in much the same way as Avraham was tested at the Akeda. 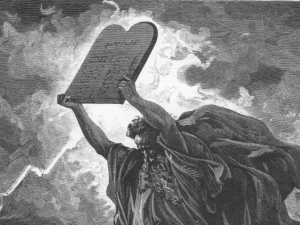 Moshe passed the test, but is scarred by this vision of God’s justice—strict justice, with no recourse, just as was spelled out in the first set of tablets. He asks to understand why evil flourishes in the world. God’s answer, “you can’t see me and live,” is a precaution regarding the limitations of our knowledge. We can’t know everything; we can’t see God’s face. And this means that we can’t know why God allows (or causes?) terrible evil to flourish in the world. The corollary to this is that we assume that there is a reason, which may be comforting at those times when we allow ourselves to be comforted. This was written nearly a century before Heisenberg’s Uncertainty Principle. These days, we have reached the barrier of complexity in any attempt at “ultimate predictions”. Chaos theory is able to calculate trends in data, but the “complexity barrier” remains. This means that even on the most mundane level, we can’t predict the ultimate consequences of a given action, nor even know how past acts have brought about the present reality. One possible reason why the world could not stand otherwise is the need for chaos at the heart of physical existence—uncertainty is a prerequisite for human free will. Perhaps a world in which all things can be foreseen is a world in which Torah would be meaningless. For human conduct to have meaning, the world must be such that the right action is not foreordained, nor even completely determined by law. The uncertainty and malleability of the Torah mirrors that of the world itself. Or, our sages might say, it’s the other way around—the world was built on randomness and chaos purely for the sake of the Torah. Thus, God looked into the Torah and created the Universe. This description of God’s workings in the universe is called the “Thirteen Divine Middot (Attributes)” and is one of the most quoted phrases in all of scripture. It is the central theme of the Yom Kippur liturgy, and is repeated throughout the day on a note of rising expectancy and triumph. But what does it mean in context? While the first set of Tablets included the absolute conditional property of God’s justice, the Thirteen Middot leave out “those who keep My commandments”. But more, they include the gentler attributes (slow to anger, compassionate…) missing from the first set of tablets, and mention Divine justice almost as a parenthetical remark. And this, according to Rav Yoel, is the unwritten principle behind the Second set of tablets: the Middat HaRachamin as opposed to the previous Middat HaDin. Although Moshe is instructed to write on them exactly what was on the first set, he is given this vision of something beyond the Written Law—a glimpse of the inner workings of justice, and a hint of how the law is to be interpreted and reinterpreted in later ages. This is the writing “between the lines” in the crowns and dots on the letters. This is the text that, in another famous midrash, the generation of Moshe was unable to read, and which hence could not be passed down in the Written Torah. But a thousand years later, R’ Akiva was able to expound every dot and crown into a “mountain of halakhot”. And so it is to this day: having survived an exile that destroyed every other nation that shared our fate at the time, here we are—still nourished by the white spaces between the letters, still expounding the crowns on the letters to derive “whole mountains of halakhah”. Rabbi Yehuda bar Nachmani, the disseminator for Rabbi Shimon ben Lakish, expounded as follows: It is written: “Write you these matters” (Exodus 34:27), and it is written later in that same verse: “For on the basis of [al pi] these matters.” How can these texts be reconciled? They mean to teach: Matters that were written you may not express them orally [al peh], and matters that were taught orally you may not express them in writing. The school of Rabbi Yishmael taught: The word “these” in the mitzva recorded in the verse “Write these words (things)” is used here in an emphatic sense: These matters, i.e., those recorded in the Written Law, you may write, but you may not write halakhot, i.e., the mishnayot and the rest of the Oral Law. דרש רבי יהודה בר נחמני מתורגמניה דרבי שמעון בן לקיש, כתיב: (שמות ל”ד) “כתב לך את הדברים האלה”, וכתיב: (שמות ל”ד) “כי על פי הדברים האלה”, הא כיצד? דברים שבכתב אי אתה רשאי לאומרן על פה, דברים שבעל פה אי אתה רשאי לאומרן בכתב. דבי רבי ישמעאל תנא: אלה – אלה אתה כותב, ואי אתה כותב הלכות. Thus, the human share of the Torah is not “instead of” the divinely-sanctioned tradition; it is part of it! We apply our reasoning to the received tradition because of something built into the structure of creation itself. It isn’t the capacity of our minds that’s lacking. Rather, the reality is undetermined until the time comes for it to be determined. We can’t ask God to tell us the future, not because we wouldn’t understand, but because the future has not yet been decided. We are part of what makes things happen in one way rather than another. Nor can we ask God to tell us how to judge among human beings. We must follow our own understanding because the Torah is not in Heaven. The second set of tablets were carved by the human hand, and reflect the human element in Divine law. Hence, the reaction of God when confronted with the sages’ refusal to accept the judgement of the Heavenly Voice in the case of the Tanur shel Achnai: “My children have defeated me.” It is the victory of the created world itself—the victory of a chaotic creation that is actually capable of surprising and delighting its Creator. Hirsch, Samson Raphael. The Jewish Year, Vol. 1. p. 33.